Welcome to our website. Today, we are going to show you how to install Urbackup server on a Linux system. I am using OpenSUSE Leap 42.3 on this tutorial. 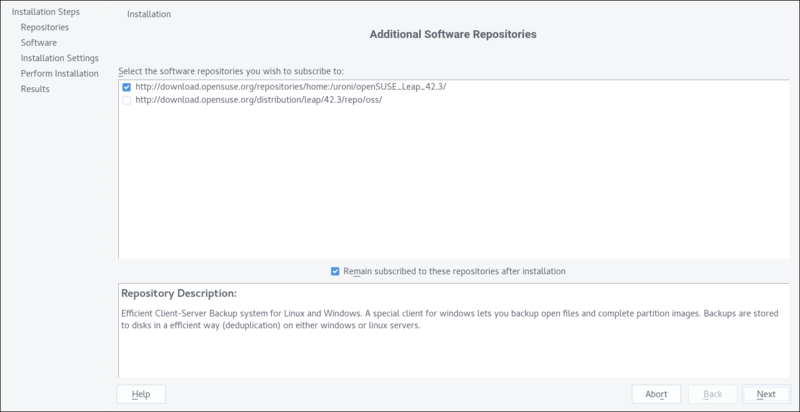 If you are running Ubuntu, you can read how to install Urbackup on Ubuntu. Urbackup is a free, open source network backup solution. It has many features you can use to backup your computers across the network. Installing Urbackup on OpenSUSE is pretty easy. I will try to guide you from the beginning until your Urbackup server is up and running. But before we continue, do not forget to support us by sharing this article to your favorite social media. I do appreciate your support. Download the urbackup yml file using the link below. Simply right click the link and click save link as. 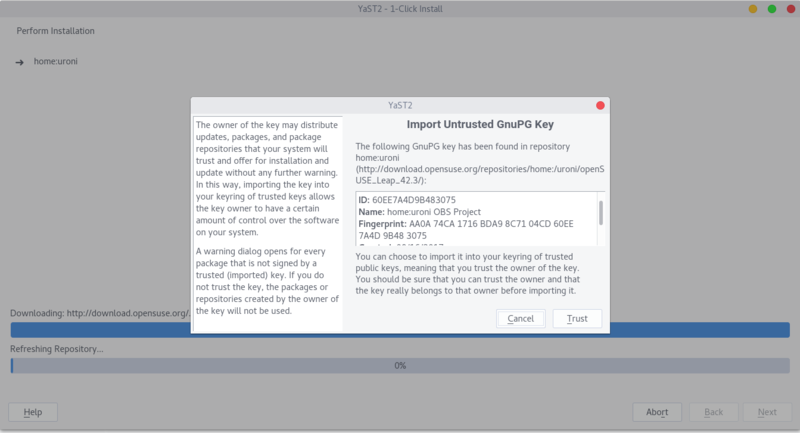 After download, right click the .ymp file and select Open with YaST 1-Click Install. 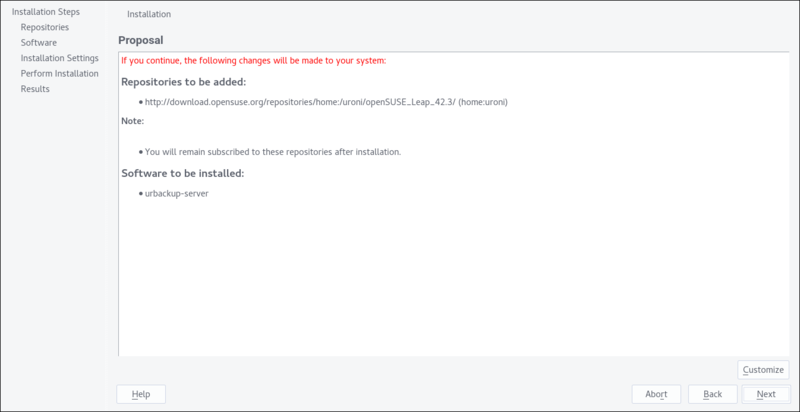 It will open the repository configuration window as follow. Select the uroni repository and click Next. 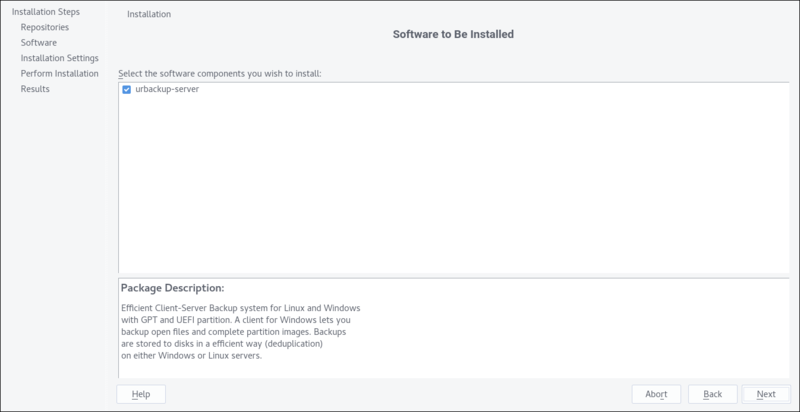 Once the installation is finished, start the urbackup service and enable it upon boot if you want. Don’t worry this is normal. We just need to adjust and configure the backup storage on our server. Go to Settings and then click Server tab. Now, type the new backup path on the Backup Storage Path. See the following example. 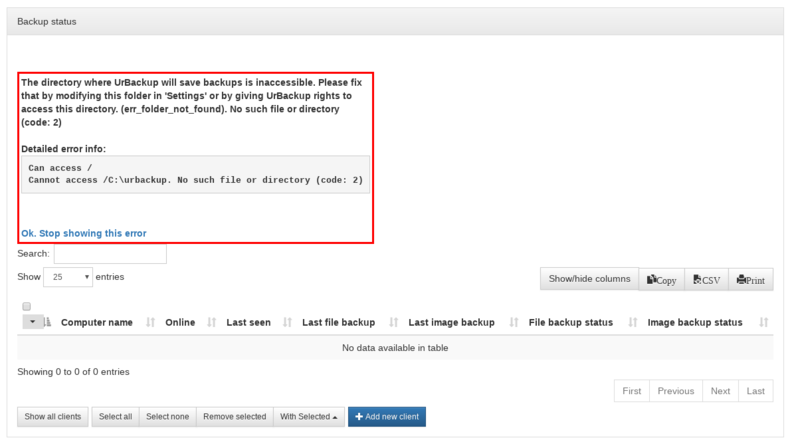 Then, you can continue to configure the File Backups and Image Backups schedule and don’t forget to click Save button. Now, lets add a new backup client. 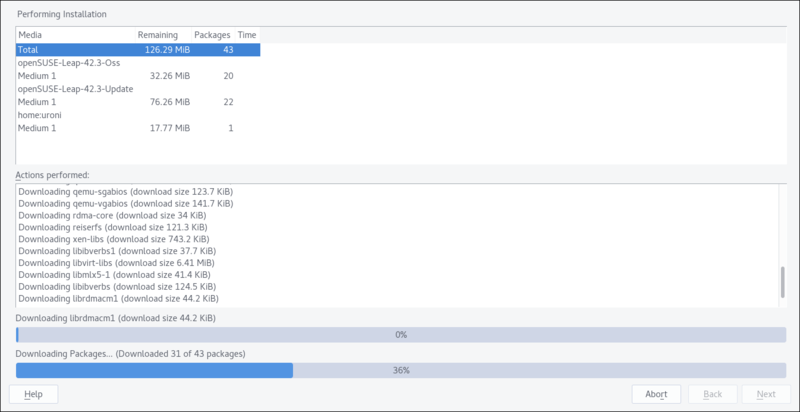 In this example, I am going to connect my Windows 10 with Urbackup. You may download the Urbackup client from here. It’s available for various operating systems. 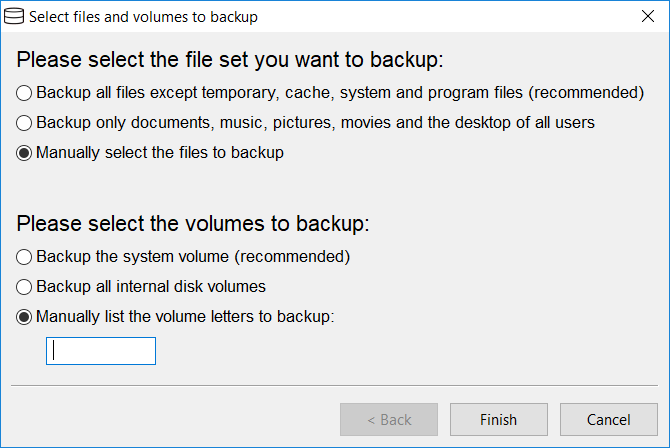 On Windows client, after installation, we need to specify and select which files to backup. You can also enable or disable the volume to backup. The client will automatically discover the server if they are in the same network.